As the mercury steadily rises, touching the forties in various parts of India, Westeros is freezing with Winter finally arriving there after seven seasons. Along with next Prime Minister of our country, India will also get to know who will rule the Seven Kingdoms, this May 2019. With the release date of the final season of the popular HBO-produced TV series Game of Thrones (GOT) approaching soon i.e. 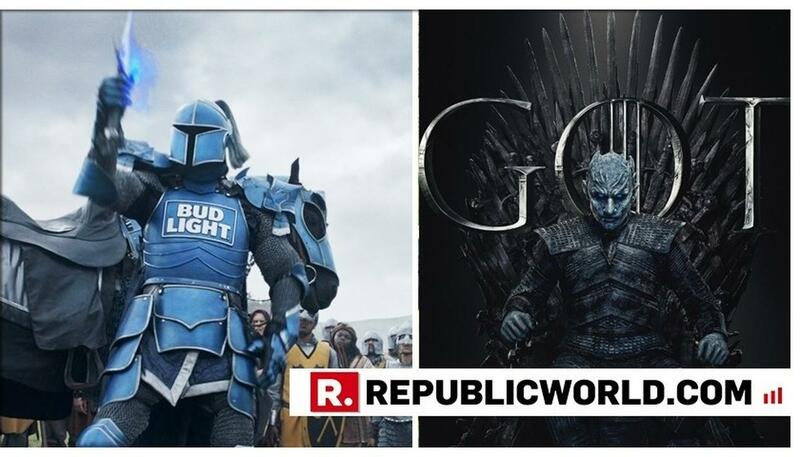 15 April 2019, Budlight- the American-style pale lager produced by Anheuser-Busch company, has rekindled its partnership with HBO, releasing a 'Jon-Snow resurrection' themed ad on Monday. The 30-second advertisement was released during the Super Bowl- the annual championship game of the National Football League of USA. The ad initially shows a knight (dubbed Bud Knight) lying on a wooden table with his visor down. Above him, a wizard/sorcerer dressed in white robes and a brown beret with flowing white robes, moves his ring-studded fingers muttering something. He cuts a few strands of hair from the knight's head and throws it into the fire, mimicking Melisandre- the fire witch from the show. A man wearing the crown (apparently Robert Baratheon from GOT) stands beside the wizard sipping on a Budlight looking at the ceremony. On listening closely to the wizard's mutterings he says," Hey, are you just naming Pasta varieties?" When the wizard says 'yes', he asks if they should perhaps 'grab something to eat? 'Once both men, leave the room, the camera focuses on the knight who suddenly breathes back to life (like Jon Snow from the show), hungrily saying," I could go for some Italian." The video ends with the words- "Legends never die." He also posted an update to his fans saying that he did go out for Italian on being resurrected.